Africa is a fascinating continent. It has a wealth of natural resources and beautiful vistas as well as friendly people and exotic cultures. It is definitely a wild place too, unfortunately rife with corruption and marred by conflicts, many set off by an arbitrary setting of boundaries during European colonial times. Sierra Leone, in Western Africa, has been a trouble spot in the region, never more so than during its recent bloody civil war. 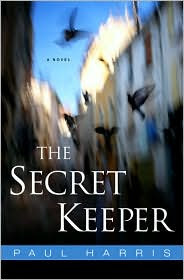 I’m no authority on the subject, but I do feel like I know a lot more about it after having read THE SECRET KEEPER. Author Paul Harris is a foreign correspondent who has covered many countries in Africa and here, he writes what he knows – in this case, the story of rookie journalist Danny sent to cover Sierra Leone’s 2000 political crisis and his return to a nation at “peace” four years later to investigate the murder of his former lover Maria, an aid worker with War Child International. The novel begins with a torture scene that would do Jack Bauer (from the TV series 24) proud. Then, we discover how everything led up to this opening scene through a series of alternating flashbacks to 2000 and the recent present (2004). It is a nice structure that doles out the mystery of Maria (the titular keeper of secrets) in tantalizing pieces, while also giving us a sense of the absurdities of war and the very real danger that lurks under the surface of Sierra Leone’s brand of peace. I thought it worked well to give Danny a personal crusade to discover the truth, although I was never fully invested in the relatively fleeting Danny/Maria romance. It seemed to be mostly sexual in nature, with Danny also being in awe of her independence and tenacious character. I would have liked to have seen deeper interaction and conversation between the two to really show me that were soul mates or something, because while I understand why someone as beautiful and passionate at Maria could get under Danny’s skin, I found it harder to understand why he would literally give up everything to find out what really happened to her. Still, this is a fast-paced, intelligent thriller that educates and entertains. I’ll definitely be keeping it on my shelf and am looking forward to lending it out. I’m thrilled to be able to welcome Paul Harris today for a chat about the novel and Africa in general. It’s long, but it is worth it! When did you first start to realize you wanted to take your journalistic experiences and novelize them? I have actually always wanted to write fiction. I loved to do it when I was growing up though that was mostly creating very pale imitations of JRR Tolkien’s books. Then, when I was living in Kenya in 1999, I tried to write quite a grandly ambitious magical realism novel. It did not work. It was after that that I firmly decided to stick closer to home and write about my own experiences as a journalist in Africa. Suddenly I found the writing coming very easily and the characters just leaping out of me. What current event/crisis makes the journalist in you want to drop everything to go cover it? I think that depends on one’s age and experience. I don’t really have any desire to do much conflict reporting anymore. But I always regretted never having made it to the Congo when I was in Africa. Out of all the ongoing troubles in the world, I think the Congo is the one that could actually tempt me back in. Aside from that I have to say covering a US presidential election is unbelievably fascinating. Last year especially so. It really is an amazing process from the beginnings out in the Iowa caucuses right through to election day, this is how the most powerful man in the world is chosen. Your novel reminds me a bit of The Blood Diamond. Have you seen it? Based on your experience with the diamond trade, would you buy diamonds or encourage others to buy them? A great question. I have not seen Blood Diamond as I wanted to avoid any danger of accidentally incorporating parts of it into my book. As for diamonds, I think like all products there are ways to buy them that are more ethically sourced than others. If you can, make sure that you know where/how your diamond was mined. There are numerous schemes for doing this. If you do that then you are encouraging ethical corporate behaviour. Do not buy a diamond ‘blind’ (unless it is a vintage stone, I suppose). You’ve said in other interviews that the character of Kam is based on your own driver in Sierra Leone. Did you send your driver a copy of the book? Is he aware of the homage? Kam is the one character in the book who is simply written entirely from my own memory. Sadly, I lost touch with him when I finished my assignment in Sierra Leone. I regret that greatly. Tell me a little about your experience in Zimbabwe. I went to Victoria Falls in 2007 for a week and fell in love with it – but the stories I heard broke my heart. And what I’ve heard since has not been encouraging. What is your stance on tourists visiting countries controlled by dictators? Are they helping or harming? I have visited Zimbabwe numerous times. The last time was back in 2003, which seems like years ago, but at the time the country was already in deep crisis. The fact that Mugabe is still in power six years later shows just how deep into crisis the country has gone. I was there to report undercover on how opposition figures were being beaten and tortured. I posed as a tourist, flying in from Malawi on my US passport not my British one. I stayed in a quiet hotel for the first two nights until I noticed that a man next to me at the hotel bar was literally taking notes on the conversations I was having with people. Mugabe’s Central Intelligence Organisation is not subtle! After that I contacted a friend of a friend and stayed in a private house. Much safer and under the radar of the thugs. As for tourism, that is a tough one. I guess in some ways it is the same answer for diamonds. Don’t do anything ‘blind’. Visit the country but stay in places and buy things that are run by or made by ordinary people. Avoid putting any money into things run by the state or by members of the government. That helps ordinary people stuck in terrible circumstances but avoids helping the government. Is there a question you’ve always wanted to be asked but never have been? I am going to use this excellent question to harp on about a key pet peeve of mine that I am always amazed never gets any political attention in America. So the question is: What simple thing would most improve America for Americans? My answer is: give everyone a minimum of four weeks vacation a year. Ideally, five. In Europe we are generous with our vacations. In America many people only get two. I find this astonishing. Sometimes newspaper columnists here in the US even laugh at the French/Germans/Italians for their long summer vacations and their smaller Gross National Products. Well, the joke is on them. Because those French/Germans/Italians are too busy sunning themselves on the beach, spending quality time with their families, reading great books and eating lovely food, to worry much about their country’s latest GNP. It is all a matter of getting your priorities right. The benefits of giving Americans two more weeks extra holiday are huge. 1) Productivity does not fall. Workers would simply do the same work in less time i.e. work harder but for not as long. Some of the most productive workers in the world are German and they get massive holidays. American companies would find their workers happier, more dedicated and just asproductive. 2) Four weeks vacation would allow Americans to travel more in the world. They would learn more about the world and the world would learn more about them. Excellent for everyone. Global prejudice on all sides would be reduced. 3) With increased leisure hugely important domestic industries like hotels, resorts, restaurants and tourist sights would get a massive boost thus creating jobs. American jobs. 4) It would soften America’s culture of working so hard, encouraging people to see life’s achievements as happening away from the office or simply getting up another pay grade. No one lying on their death bed ever thinks that they did not spend enough time behind their desk. Visit the author at his website and check out the other stops on his TLC blog tour. Very interesting post. Living overseas for a while has given me a different perspective on the world. But I also think that Americans have higher demands on what they want in life than other countries. We want it new, bigger and better. So then there is little time for smelling the flowers isn't there when you've got to have the two cars, the big house and everything. Everyone seems to be loving The Secret Keeper. The interview is great. We were talking to a Canadian friend recently and he was telling us that they get a lot more vacation too. Americans have more than a lot of countries, but we work more too. Is it really worth it? I really liked that interview, Lenore. I have not heard of this book but it looks great. Thanks for this great review and author Q&A. Africa is a very interesting place, and its importance to international politics and economics is growing. I have always been afraid of traveling to Africa and this kind of confirms that fear. It sounds so dangerous, but I feel so bad for the people struggling there. We are so greedy as a public, and it hurts my soul to see it. As for his tip to help Americans, I think it is a fantastic idea! Christina - I'm sure that's true for a lot of people. But many of my friends talk about how they'd love more vacation and after living in Europe, I know I could never go back to just two weeks a year! Kathy - Americans have more than the Japanese at least, who have only one week. Now that's killer. Sadako - It's very eye-opening for sure! Gwen - Very true. They just have so much to overcome. Emily - On my way to Zimbabwe, I saw the movie THE BLOOD DIAMOND on the plane, and I was thinking "What have I gotten myself into?". The unknown IS scary, but after having been, I would say use caution of course, but don't let fear cause you to miss out on the amazing experiences Africa has to offer. Great review and interview Lenore. 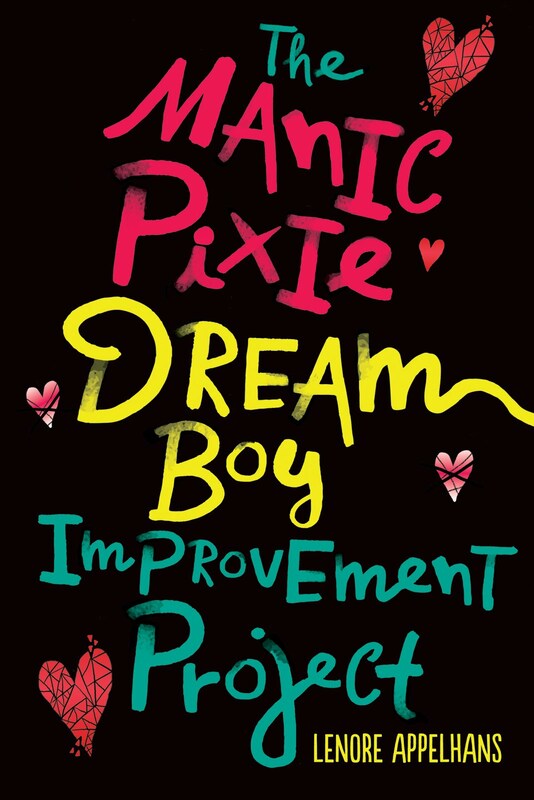 I really enjoyed this book as well. I took a lot away from it. I have never heard of this book before but it sounds like an interesting read. Thanks for the great interview! Love this and love most of all the idea of four week vacations. While I'm self employed I have realized, in the past many months of no vacation, that I'd be a much better, more generous, more thought, much smarter person...if only I went somewhere new for a spell. Hi Lenore, Excellent review and interview! You asked great questions and I love Paul's answers, esp. about more leisure time for American's. I never thought about it in quite that way (stimulating other industries such as travel, etc.) but he is right on about that. Thanks so much for all the time and effort that went into reading the book and putting together your review and interview. Great job! This is an excellent interview, Lenore. I really enjoyed The Secret Keeper. I do know what you are saying about Maria and Danny. I think from my perspective, the lure back to Sierra Leone was more than just about her though. He really hadn't been the same after having left the first time. It reminded me of the soldier who signs on for another tour of duty in a war torn area--not because he is feeling especially patriotic or loves the idea of war--but because that's where he feels he fits in, or at least is understood the most after everything he's been through. Something like that anyway. Loved that last question and answer - I WISH the US would adopt the European attitude toward holidays ... it would make me so much happier. Thanks for the brilliant book review and awesome author interview! Great review! I haven't read much about Sierra Leone, but think that this book would be a really interesting and suspenseful read. I am definitely putting this one on my wish list. Thanks! That was very interesting interview. I appreciated that you asked him about his view of Zimbabwe. I worked for a Zimbabwean lady for a few years who still had family over there. She only had the job to send all her money to them (her husband was a professor). The last time I spoke with her she said her family had been reduced to eating tree roots. I am excited to hear you saw Victoria Falls. My boyfriend and I are planning a trip there around late summer/early fall 2010, when we can swim in the Devil's Pool and see some game. We're planning to stay at the Waterberry Lodge. Great review! I haven't read much about African countries to be honest, but that just makes the book all the more appealing. At first I thought it was a documentary of sorts but then read further to be proven wrong. The storyline sounds quite compelling, and I'm a fan of thrillers so I'll be looking forward to reading it. Awesome interview!What an adventure in Zimbabwe...seems like it's off a thriller movie!